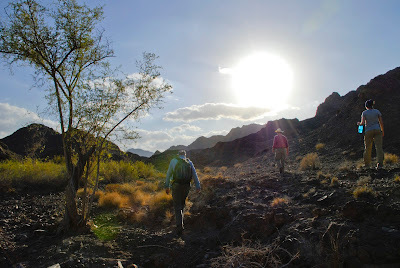 Shadows over Oman mantle peridotite, January 2009. 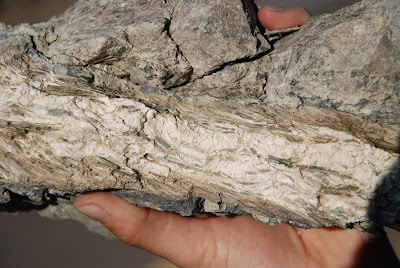 An ophiolite is a segment of ocean crust and mantle tectonically exposed on land by obduction (overthrust), usually when an ocean basin closes. An ophiolite sequence consists of variably altered oceanic rocks, including marine sediments, ocean crust, and part of the mantle. The name ophiolite means “snakestone” from “ophio” (snake) and “lithos” (stone) in Greek. The rock sequence is named for the brilliant green, snake-like serpentine minerals which form in altered ocean crust and mantle. 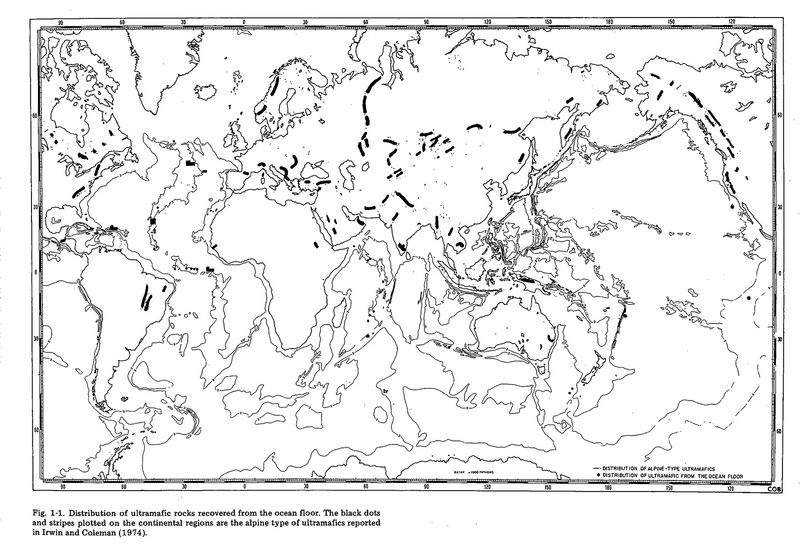 Ophiolites are rare but nonetheless found throughout the world. Notable ophiolites are found in Cyprus, the northwestern US, the Alps, Papua New Guinea, and Oman. I am a marine geologist, but I often cheat and work on land. For one of my PhD general exam projects, I worked on rocks from Iceland, which is a part of the Mid-Atlantic Ridge that has built up above sea level because of a hotspot. 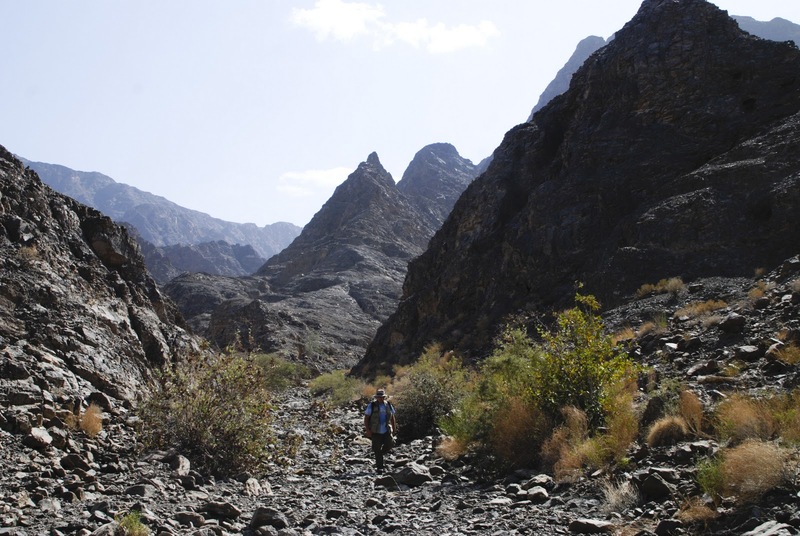 For my thesis research, I am working in the Samail Ophiolite, which is located in Oman and the United Arab Emirates and is one of the largest, best-preserved, and best-exposed ophiolites in the world. For both projects, I am studying marine rocks which have been exposed on land because of unusual circumstances. Although such rocks are anomalous and thus are not perfect analogies for your average seafloor rocks, there are great advantages to being able to actually see, touch, and– if needed for identification– taste marine rocks in the context of an outcrop. Traditional marine geology is expensive and difficult. Since the ocean floor is generally covered by several kilometers of water, marine geologists cannot study the ocean floor using traditional geological methods. That is, marine geologists cannot walk around with their maps, hammers, and Brunton compasses and observe the geology first-hand. Instead, marine geologists must go out on ships and use remote methods to make observations and sample the ocean floor. Going out on ships is very expensive, costing tens of thousands of dollars per day. For example, one of the best ways to observe the ocean floor is to go down in a manned deep-sea submersible such as Alvin. However, operating costs for Alvin, including the ship costs, are about $40,000 per day. This is incredibly expensive, and even Alvin doesn’t allow you to walk on the rocks with your Brunton. As a comparison, a month of field work in Oman costs about $10,000 for myself and an assistant– about $3,000 for two round-trip plane tickets, about $4,000 for a rental 4 x 4, $500 for gas, $500 for food and water, maybe $500 for a few nights in a hotel (we camp the rest of the time), and $1,500 for supplies and shipping rocks. So, for 1/4 of the cost of operating Alvin for a single day, I can carry out a month of fieldwork on marine rocks exposed in the Samail Ophiolite. 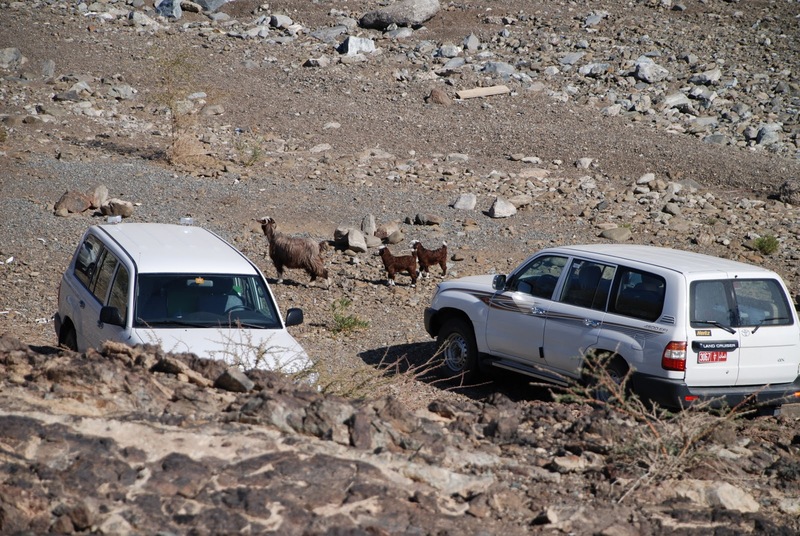 Oman is an expensive country, so many of these costs (such as the rental vehicle) are reduced when working on other ophiolites. There are various remote methods of observing the geology of the ocean floor. The topography of the ocean floor can be mapped from a ship using multibeam bathymetry (bouncing sound waves off the bottom of the ocean to calculate topography) or by satellite altimetry (using the height of ocean waves to look for gravity anomalies and infer the topography below). Additional remote (shipboard or satellite) instruments allow marine geologists to measure properties, such as magnetism and gravitational pull (which can provide information on topography and density), of marine rocks. Seismic waves– passive source (generated naturally by the Earth, such as during an earthquake) and active source (generated by man, often by an explosion)– can be monitored to learn about the structure of the marine rocks. For example, the speed of seismic waves through various parts of the crust and mantle can be used to infer density. Seismic waves travel faster through more dense layers (such as hard rock like basalt or gabbro) and travel more slowly through less dense layers (such as soft marine sediment). There are also various methods of sampling the ocean floor. One of the best ways to sample the ocean floor is to use a deep-sea submersible such as Alvin as this allows you to see exactly where the rocks you are sampling are coming from. However, since Alvin and other submersibles are so expensive, a very common method of sampling the seafloor is dredging— basically, throwing a metal basket over the side of the ship and dragging it along the seafloor. This simple technique can be very effective. As an example, when I participated in a two-month cruise along the Ninetyeast Ridge, we obtained about 3,000 kilograms of rocks by dredging. 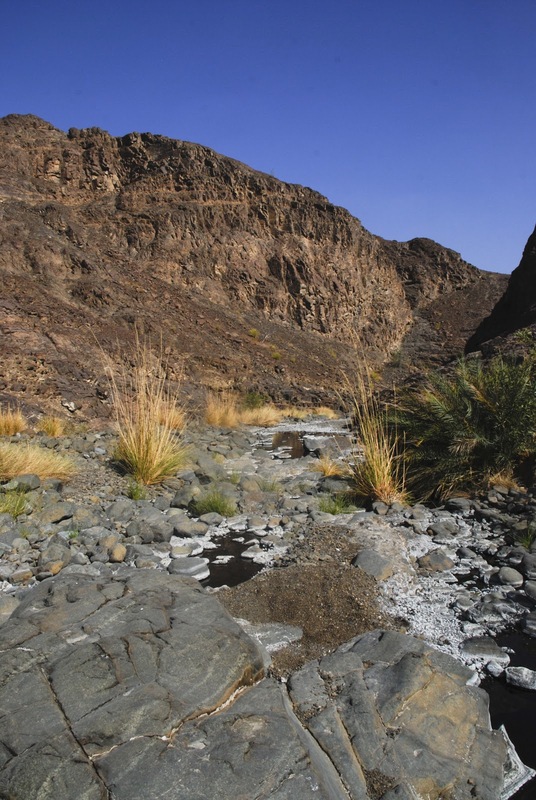 However, dredging provides only limited geological context for the samples and also tends to pick up loose surface rocks that may or may not be representative of the outcrop. For instance, these rocks may have rolled downhill from other locations. Another method of sampling is drilling cores from the ocean floor. Since the late 1960s, there has been a global effort to obtain cores from the ocean floor, in the form of first the Deep Sea Drilling Project, then the Ocean Drilling Program, and finally the Integrated Ocean Drilling Program. Cores are great because they sample the actual seafloor (not just loose rocks) and can also sample deep into the crust. However, as I discussed in my post on the lithosphere, no ocean drilling effort has managed to reach the crust-mantle boundary. Cores also have their limitations. They are only a few inches in diameter, and so they provide only narrow cylinder snapshots of the overall geology. Some cores are fairly deep, but others may only sample the upper few meters of the ocean floor. 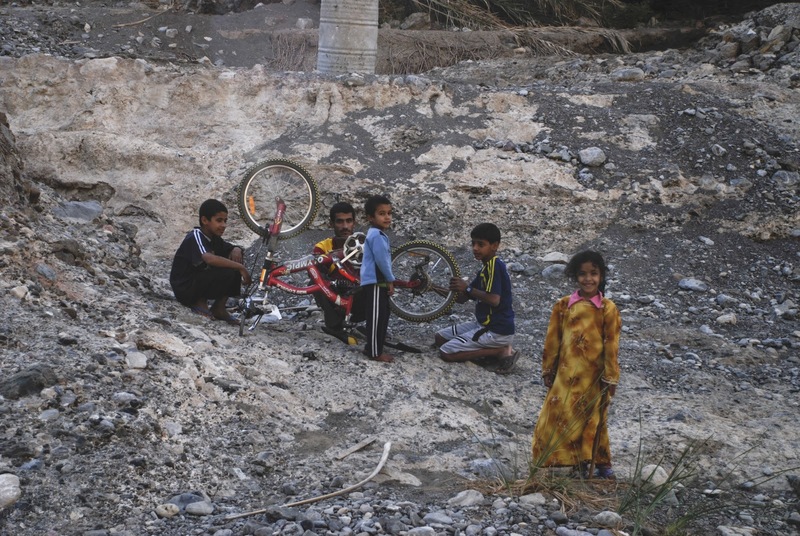 Drilling is also much more time-consuming and expensive than dredging. Because studying the geology of the actual ocean floor is so challenging and expensive, many marine geologists also work in Iceland– the only place you can walk along an active Mid-Ocean Ridge– and at ophiolites, which are fragments of ocean crust and mantle that have been exposed on land because of unusual tectonic circumstances. Dense oceanic crust almost always subducts underneath lighter and more buoyant continental crust. This is the traditional plate tectonic situation that you learn about in introductory Earth Science classes. However, in certain circumstances ocean crust– at least small slivers– can be thrust up onto land. For example, this often happens when ocean basins close, particularly if the ocean crust is young and relatively hot and buoyant. Slivers of ocean crust may also be thrust onto land in a forearc environment. The forearc is the area located between a subduction zone and its associated volcanic arc. New continental crust is often accreted in forearc environments, and this accretion often includes small bits of ocean crust. by darker shading. Figure taken from Coleman (1981). Click on the figure to view larger. 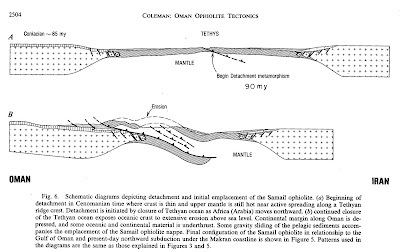 There is another important reason why marine geologists often study ophiolites: in addition to exposing ocean crust, ophiolites also often expose a section of the underlying mantle. 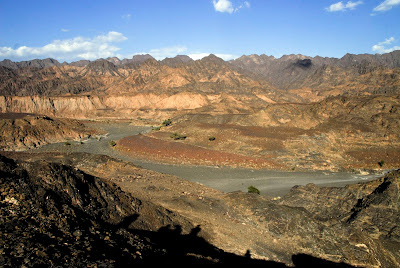 Since scientists have never drilled deep enough into the Earth to observe the mantle, ophiolites are important because they are places where geologists can observe large sections of mantle rocks directly. 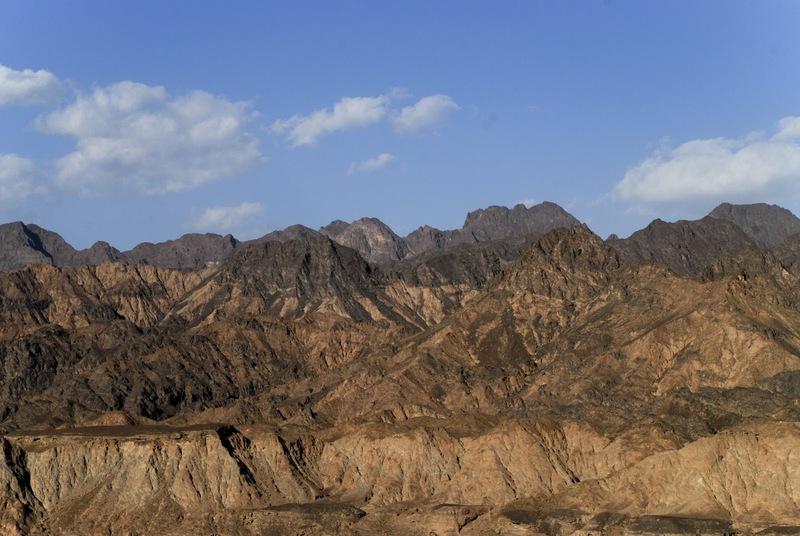 Geologists can also study mantle rocks that have been uplifted to the seafloor through tectonic processes, but again all that water makes observation difficult. Below is a map that shows global exposures of mantle (aka “ultramafic”) rocks. This map is a little dated as it was published in 1982. Since then, many more mantle exposures have been discovered, particularly on the ocean floor. 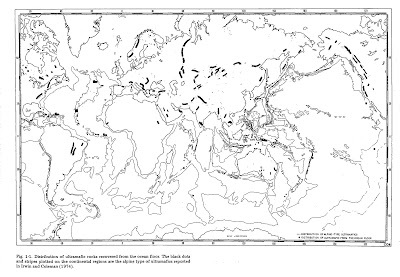 However, the map gives you a good general idea of where on the Earth ophiolites (lines on continents) can be found and where mantle rocks (dots and boxes on oceans) have been brought to the surface of the ocean floor. rocks on the ocean floor (dots and boxes on oceans). Figure taken from Hekinian (1982). Click on the figure to view larger. 1- Deep-sea sediment- no subdivision. 2-Basalt- often further divided into A, B, and C. Layer 2A represents surface pillow lava basalt while 2C represents a zone with sheeted dikes, which cooled more slowly and are gabbroic in composition. 2B is a sort of transitional zone. Some geologists just break down Layer 2 into 2A (surface volcanics) and 2B (sheeted dikes). 3-Gabbro- often divided into 3A (regular gabbro) and 3B (layered gabbro). 4- Peridotite- not usually subdivided, though there is also regular and layered peridotite. taken from my Marine Geology & Geophysics I course notes. Click on the figure to view larger. For many years, marine geologists based their understanding of the structure and composition of the ocean crust and mantle on the structure and composition of ophiolites. Now, marine geologists understand that the structure of the actual ocean crust and mantle often differs slightly from that of ophiolites. 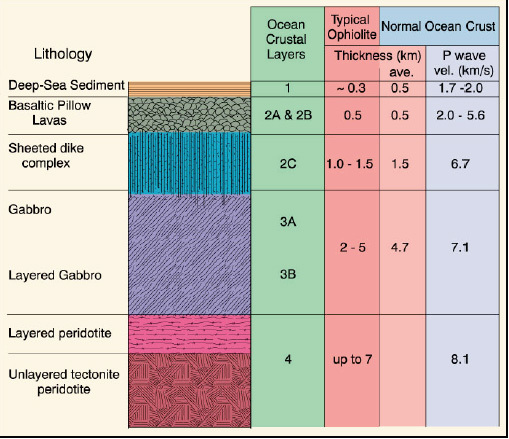 For instance, the ocean crust and mantle layers are often thicker in the actual ocean than in ophiolites (see above figure). Nonetheless, ophiolites provide excellent, easily-accessible analogues for the ocean crust and mantle. 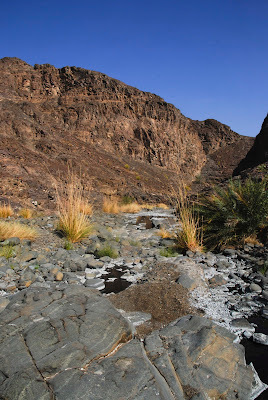 Below are a few photographs from my own fieldwork in the peridotite layer of the Samail Ophiolite in Oman. For my thesis, I am studying the unique ways in which peridotite– which is a mantle rock and does not belong at Earth’s surface– alters when uplifted onto land. 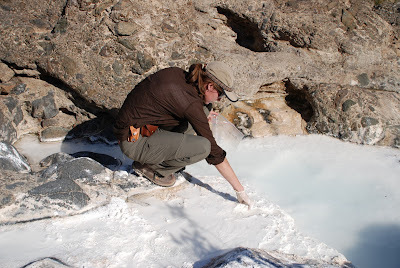 In particular, I am studying the formation of carbonate minerals. When peridotite alters, many carbonate minerals (e.g. calcite, dolomite, magnesite) are formed. 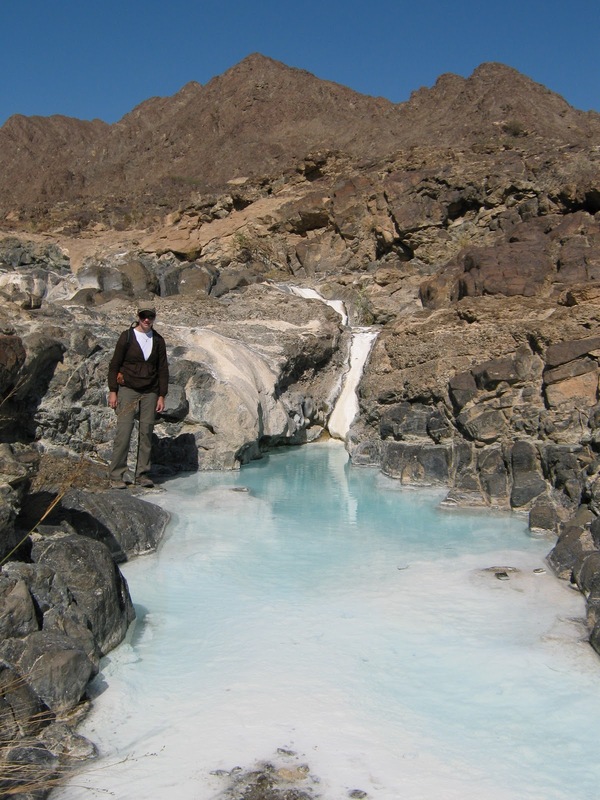 The carbon dioxide (CO2) in these carbonates comes from the atmosphere. Thus, formation of carbonate minerals in peridotite is a natural process that removes CO2 from the atmosphere and stores this CO2 in solid mineral form. 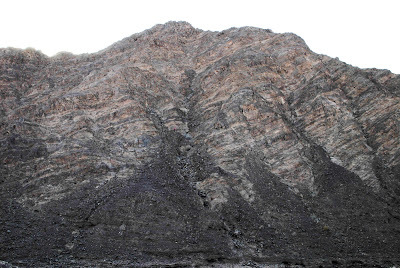 Samail Ophiolite 1, Oman, January 2009. 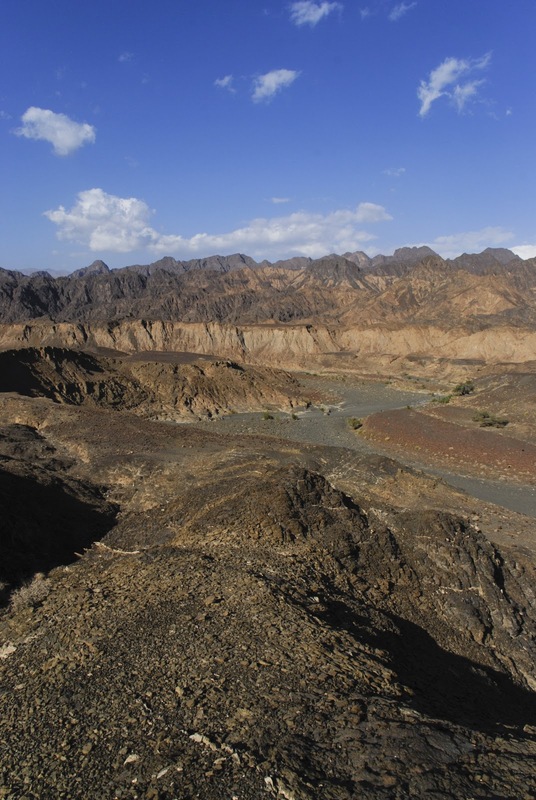 Samail Ophiolite 2, Oman, January 2009. 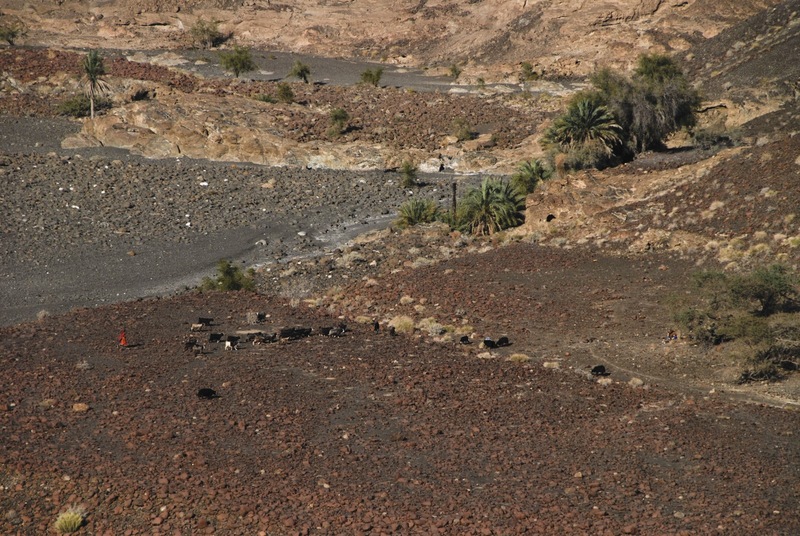 Samail Ophiolite 3, Oman, January 2009. Samail Ophiolite 4, Oman, January 2009. Samail Ophiolite 5, Oman, January 2009. Samail Ophiolite 6, Oman, January 2009. Friendly ophiolite residents, Oman, January 2009. Sampling carbonate precipitating from a peridotite spring, Oman, January 2009. Standing next to a carbonate-filled peridotite spring pool, Oman, January 2009. Herding goats across peridotite, Oman, January 2009. Goats and field vehicles, Oman, January 2009. Brown and Mussett. 1993. The Inaccessible Earth: An Integrated View of its Structure and Composition. London: Chapman and Hall. Coleman, R. G. 1981. Tectonic setting for Ophiolite Obduction in Oman. Journal of Geophysical Research, vol. 86, no. B4: 2497-2508. Hekinian, R. 1982. Petrology of the Ocean Floor. New York: Elsevier Publishing Company. Sorry about the small text in the first few paragraphs. Blogger is being difficult. I have to go to class now, but I'll try to fix it soon! We should totally chat. I worked on the Eastern Albanian Ophiolite with Yildirim Dilek for my MS. I love that guy, Albania, and ophiolites! They are one of my favorite things about geology. The best part is the sheeted dikes, IMHO. There is so much information there. Thanks for all your comments, everyone! I'm glad that you like this week's geology word. I think I finally fixed the small text in the post. Let me know if you have any trouble reading it. Lisa: I've never seen the pillow basalts. Shameful, I know! I hope to present my research at a conference in Oman next year. I hope there is a general ophiolite field trip that I can go on to see some other parts of the ophiolite. Slightly_Rifted: I would love to chat ophiolite! Send me an email or let me know if you'll be at a geology conference. 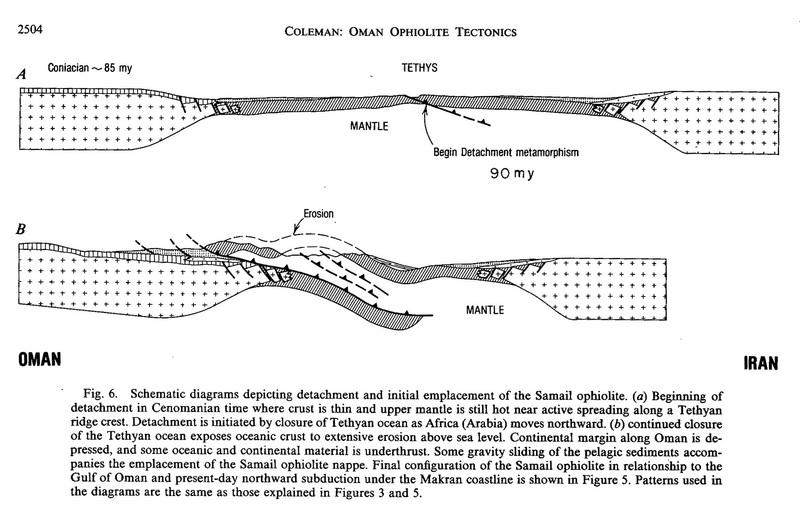 It’s very helpful for me to study Oman Geology.